The pages you can download here may be printed for your personal use or to share with students you lead and with other teachers you work with directly. Beyond that, please don’t republish them anywhere. They’re copyrighted. Gospel-centered lessons don’t do much good if the environment in your classroom, Bible club, camp, or family time isn’t gospel-centered as well. It’s helpful to look over this checklist after a ministry session with kids and evaluate how well you taught the gospel by the environment and attitudes you fostered. The checklist comes from chapter eight of Show Them Jesus, where you can learn more about creating a gospel environment. Post-lesson discussion leaders or parents asking about a lesson on the drive home can draw attention to the gospel by the kinds of questions they ask. Here’s a list of general questions I like to keep in my head at all times—though you might prefer to have them on paper. 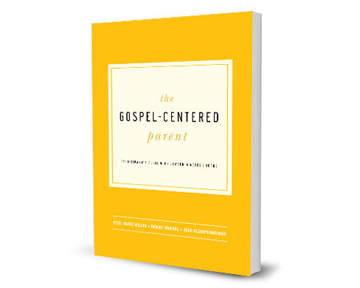 They fit nearly any lesson, and will help you get kids thinking about how the gospel encourages us in four ways (by giving us GRATITUDE, CONFIDENCE, HOPE, and COMFORT). The questions come from chapter eight of Show Them Jesus, where these four aspects of gospel encouragement are examined more thoroughly. Student Discussion Sheet: Are You Forgetting the Gospel? As with all of us, it’s easy for your students to develop wrong ideas about God and the gospel of Jesus—and to end up anxious or smug or complacent. This printable sheet contains sketches of three kinds of students who each miss the gospel in one of these ways. You can use it as a springboard for a discussion with older kids and teens of ways they think about God but won’t ordinarily admit. It lets you help them by reminding them of the gospel. It’s based on character sketches in chapter three of Show Them Jesus, where the three types of students are examined. These pages help you share this illustration with your students. Cut out the head, the heart, and the larger heart for Jesus. Arrange them on a drawing of a hill and discuss. 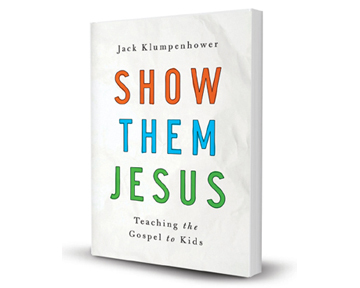 To learn more about the illustration and how to use it in a discussion with kids, see chapter four of Show Them Jesus. The God Report Card is an illustration kids fill out as part of a discussion about how believers are justified by faith in Jesus rather than by their own good behavior. I’m afraid the discussion is too lengthy to adequately explain here; you need to read chapter two of Show Them Jesus and the tips at the end of that chapter to know how to use the God Report Card. I include the printables here as an aid to those who’ve read the book and want to have the discussion with the kids they teach. You’ll need TWO report cards and TWO envelopes for each student and leader. I’ve included an option for using smaller 6×9-inch envelopes and one for using larger 9×12-inch envelopes. Small report cards: Print on card stock and cut (two cards per sheet). Small envelopes: Either set up your printer to print directly onto 6×9 envelopes, or print on standard paper and then cut out design and paste onto envelopes. Large report cards: Print on standard-sized card stock. Large envelopes: Print on standard paper and paste onto 9×12 envelopes. We want to teach kids the full richness of the salvation we have; ALL that God does for us in Christ, so that salvation isn’t thought of merely as forgiveness or a free trip to heaven. I sometimes put this list up in my classroom where I can refer to it often as I tell about Jesus. (The order of the items refers to the logical order of how God saves us. These things don’t necessarily happen in this order chonologically. Some, like being converted and justified and adopted, happen simultaneously.) Click the link to get to the chart page, then right click the image to print. These cards are visual aids for reviewing basic doctrine about the nature of God and the person of Jesus. They can be used alongside the God and Jesus 101 lesson notes to help kids better understand who God and Jesus are, and what’s the difference. I recommend that teachers not just use the notes but do some serious study on their own beforehand, at the very least reading through the God and Jesus sections of Louis Berkhof’s Summary of Christian Doctrine. “Gossip” may be the surface-level sin. “Love to have people think better of me than they do of those I put down” may be the underlying love. “Don’t believe that God’s perfect love for me is enough to fill my soul” may be the underlying unbelief. 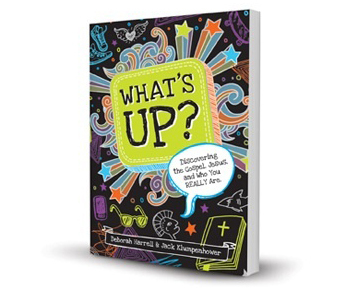 See chapter nine of Show Them Jesus or chapter nine of What’s Up? Discovering the Gospel, Jesus, and Who You Really Are for more instructions and examples of how to use the shark chark. Note that my colleague, Deborah Harrell, first came up with the shark concept for discussing sin with kids. This page comes with two fill-in charts so the teacher can complete the exercise alongside the student. Don’t ask kids to talk deeply about their sin unless you’re also willing to talk about yours. Hey Thanks for all you’ve done! or let be done through you, excited to give out some copies of your book 🙂 ! Sorry I just came across this site looking for some children’s ministry information and I saw your name on here. Are you James White as in the Reforme Baptist apologist James a White? Jack, so thankful for the work that God has allowed you to produce in Show Them Jesus! The Gospel is POWERFUL and God saves sinners! Thankful for your willingness to follow the Lord’s leading in writing the book, and your transparency as you wrote. I have read it several times and have been through it with many of our volunteer leaders, and it never gets old, because the Gospel is always new and always fresh. As the director of a small ministry it has been a great encouragement and has helped us to be better Gospel teachers as we learn and strive to reach children in Wisconsin and beyond. We praise the Lord! Thank you! Thank you, Joe, for letting me know how you’re using the book. That’s encouraging to hear. Do we have permission to print the Gospel-Environment Checklist to use in a Sunday School Class? I am a bit confused by the permissions/copyright info at the bottom on the page. Can you clarify please? Yes, feel free to print it and use it in your church’s classes. I’m happy to have anyone print and copy any of those resources for their personal use or use by their church. It you limit yourself to printing/photocopying for yourself or teachers you directly work with, you’re on good ground. I’m glad to share. My publisher and I do thank you, though, for your concern for copyright protections. Thank you Jack for the resources you’ve made available here on your website. I purchased your book and have been sharing with our children’s ministry director how blessed I’ve been with your ideas to keep the focus on the gospel. I’ve had experience with CEF in the past but now serve as co director with my husband in our Awana program with the K-2nd grade (Sparks). We have limited time for our large group time, usually only twenty minutes but I really want to implement some of your ideas to make sure we use those twenty minutes to share Jesus every week. Several of our kids do not have a church family and many others are sporadic in their church attendance. We need to make sure we are using our time to reach them for Christ!! Thank you for your heart for the gospel! Thank you, Michelle. Over the years, I’ve been able to give a number of talks to AWANA kids. Those are great opportunities. In fact, the second time I ever used the report card illustration was at an AWANA club (though I was talking to T&Ters, not Sparks). I am reading your book and realizing how we deficiently we present the gospel ro children. Thank you for opening our eyes and giving us practical instruction in this area. My husband pastors a church in Mexico. I would like to share the material with our team of Sunday School teachers. I am wondering if you have any of your materials in Spanish. Thank you, Grace. I’m sorry to say that none of these materials is currently available in Spanish. But if you’re so inclined, you certainly are welcome to make your own Spanish-language versions of the resources I have on this site and use them in your ministry, if that would be helpful. I’m happy for any use that advances the kingdom of Christ.